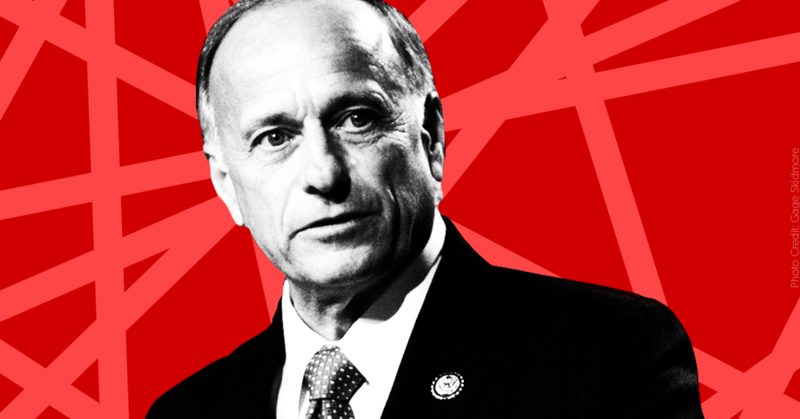 The most prominent broadcast news programs have mentioned openly white nationalist Rep. Steve King’s (R-IA) racism only a handful of times over the past two years. According to a Nexis search of NBC’s Nightly News, Meet the Press, and Today, CBS’s CBS Evening News, Face The Nation, and CBS This Morning, and ABC’s World News Tonight, This Week, and Good Morning America, there have been just six references to King and race dating back to January 1, 2017, in some cases in segments that fell short by obfuscating or devoting scant time to the clear and open nature of the Iowa congressman’s bigotry. None of these mentions seriously reckoned with King’s apparently consequence-free promotion of white nationalism, although Stephanopoulos’ brief mention of King did succinctly summarize the issue. Methodology: Media Matters used Nexis to search for “Steve King” on NBC’s Nightly News, Meet the Press, and Today, CBS’s CBS Evening News, Face The Nation, and CBS This Morning, and ABC’s World News Tonight, This Week, and Good Morning America from January 1, 2017, through January 10, 2019. We also searched for “Rashida Tlaib” on those same programs between January 1, 2019, and January 10, 2019.